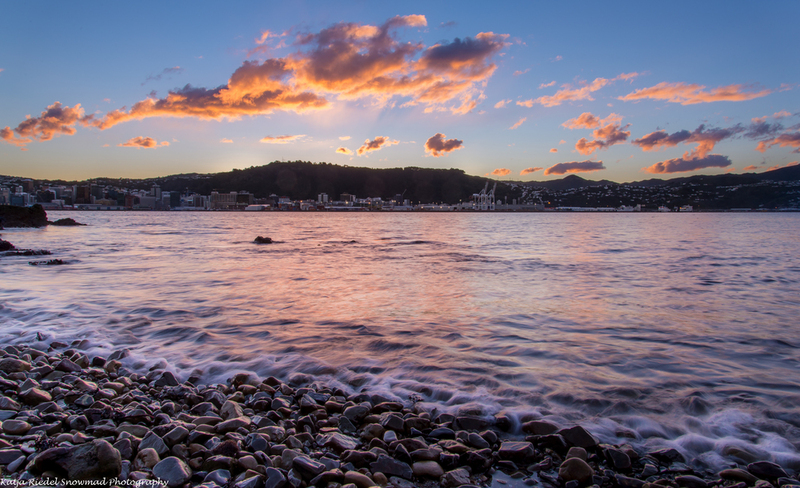 There have been some amazing sunsets recently in Wellington. Intensive colours, just the right amount of clouds at the right place. I don't know what it is but the beginning of winter seems to be better than other times for amazing sunrises and sunsets - and best of all they happen during a convenient time of the day. With the new DSLR cameras sensors got so good that ISO settings of 3200 or even 6400 give really good pictures with not too much noise. That led to many more people getting into astro photography and aurora hunting. Recently I have been following the aurora activity on this aurora australis forecast page and on this facebook group for aurora australis alerts. Both pages give you an indication when there is something happening in New Zealand. Find a place where you have a good view of the Southern horizon. The next thing you need then is the right weather. Oh and enough patience. I often seem to leave 10 minutes before the real good activity. Here is one of my pictures from 12 May 2025 from Owhiro Bay in Wellington. The bright white light on the horizon is the Interislander ferry. A great website for weather forecasts in New Zealand is MetVUW from Victoria University of Wellington. Sometimes I submit my weather pictures to them. 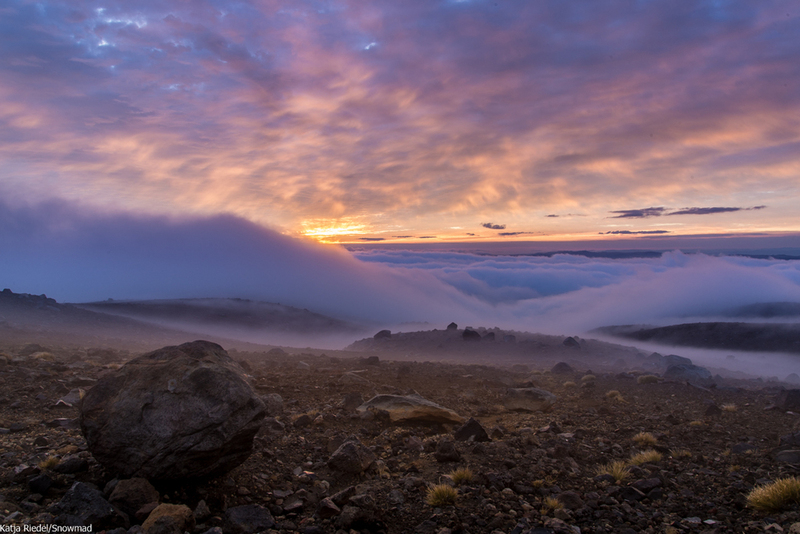 This time my fog bow at Tukino Lodge became the picture of the day on Friday 10 April 2015. Taken at midnight from Tukino Lodge. A nice surprise was winning the Wellington Tramping and Mountaineering Club (WTMC) photo competition recently. Two of my pictures got first place in the "Above Bushline" and "Landscape" and "Judges Choice" category. Both pictures were taken on the same trip on the Serpentine Range, Mt Aspiring National Park. Other winning pictures you can see here. Lara next to a tarn on the Serpentine Range. It had been raining all day and we were tent bound since noon when it cleared up in the evening. Just in time to reflect the sunset clouds in the tarn. While camping next to Lake Wilson evening light and changing clouds created a great show. This question is very relevant because climate change is happening. What will our alpine plant communities do when the temperature increases by 1-2 degrees? A friend of mine works at Victoria University of Wellington on exactly this question. Recently I gave her a hand when setting up a field study on the flanks of Mt Ruapehu. We installed Open Top Chambers (OTCs) to simulate a temperature increase. Normally we were crawling around on all fours looking at plants and trying to identify them, sometimes harvesting biomass for later study. A real bonus for me was the great location, because it gave me the chance to take photos of the ever changing clouds and skies above Mt Ruapehu.